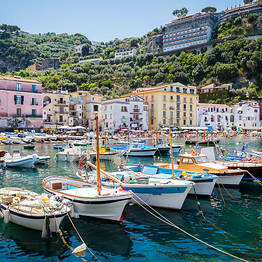 The land of Sirens which enchanted Homer and became a favorite destination on the Grand Tour: this coastal resort town continues to seduce all those who visit. 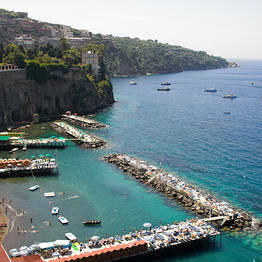 While in Positano, it's well worth traveling a few kilometers up the coast to visit the historic seaside town of Sorrento. 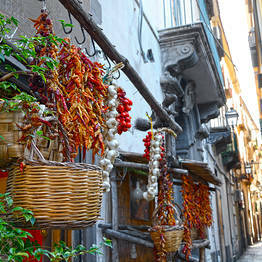 This vibrant coastal city is larger than the villages on the Amalfi Coast, so attracts visitors all year round. 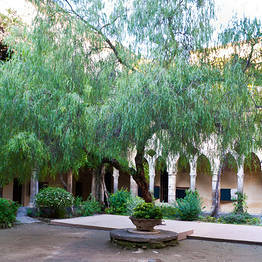 The historic center is filled with restaurants, cafés, souvenir shops, and fashionable boutiques. Take a stroll through this bustling town and visit some of its famous artisan workshops to choose pieces made of inlaid wood and other locally-crafted souvenirs, generally sold at a less expensive prices than in other towns along the coast. 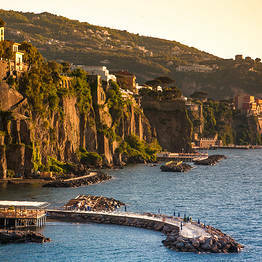 There are a number of ways to get to Sorrento. 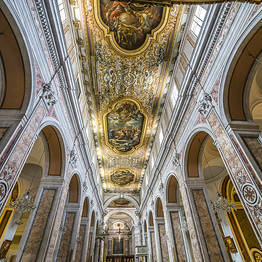 The city is well connected to destinations along the coast and is also a transport hub for a number of different public transportation routes. 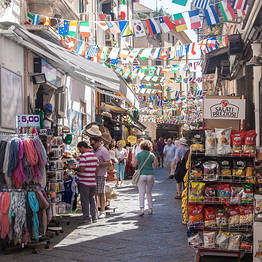 The most convenient way to travel to Sorrento, Italy from the Amalfi Coast is by SIta bus, which has routes departing from each village along the Amalfi Coast to either Sorrento or Salerno. 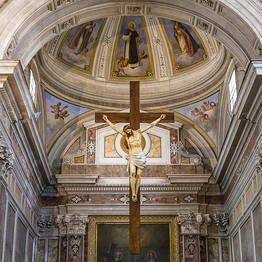 There is a direct route from Amalfi to Sorrento, which takes about an hour. 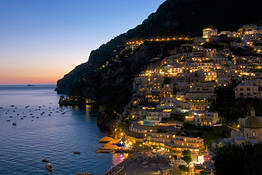 From Positano, the trip is shorter and can get you to Sorrento in less than 30 minutes. 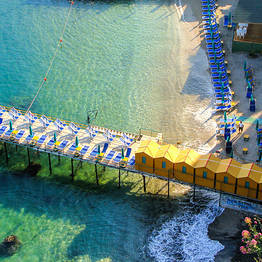 Buses between Sorrento and the Amalfi Coast run frequently and tickets are quite inexpensive. The downside is that they are often crowded and if you board at a stop along the route you may not find a seat, especially during the high tourist season. The other problem is that the road is famously winding, which may be a problem for those who suffer from motion sickness. 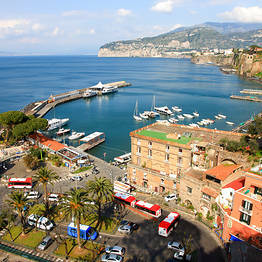 The bus terminal in Sorrento is in front of the Circumvesuviana train station, right in the center of town. 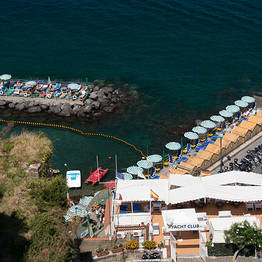 The ferry is a fun alternative to the bus, and runs from April through October between Positano, Amalfi, and Sorrento. You can admire the beautiful coastline along the way and don't have to worry about getting car sick from the curves along the road. Unfortunately, there is a limited number of ferries which depart each day, and routes can be suspended in cases of rough seas. 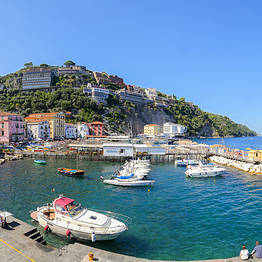 The high speed ferry to Sorrento arrives and departs from Marina Piccola; to get to the center of Sorrento from here, you can take the stairs or elevator up the hill, or the bus. 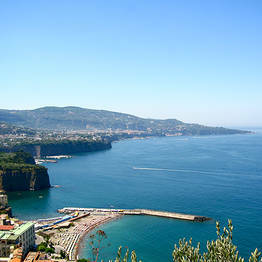 The most comfortable way to get to Sorrento from the Amalfi Coast is with a private driver or taxi. Taxis are easy to come by, but if you can plan your day trip in advance, we suggest booking a private car service. 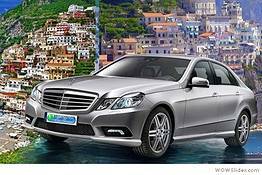 Private transfers or tours by car offer an excellent quality service for a fixed rate which you can set in advance. 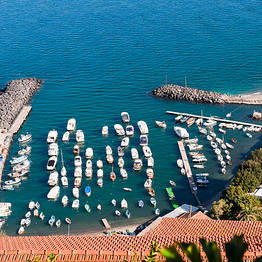 A private transfer from Positano to Sorrento costs about EUR 70. 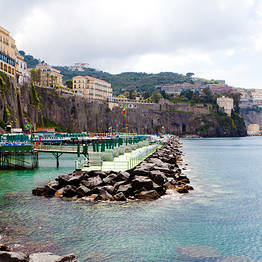 Sorrento is a festive coastal town which is fun to explore on foot. 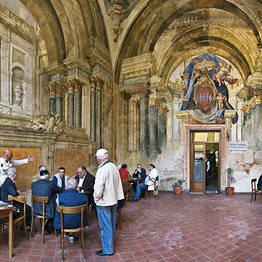 The historic center begins in Piazza Tasso, the town's main square which overlooks the sea and is lined by cafés.